Lucky Horseshoe Necklace by All Things Brighton Beautiful. 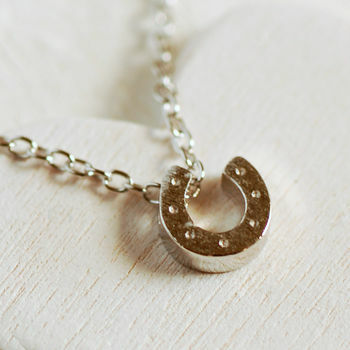 A beautifully simple and understated necklace The Lucky Horseshoe Necklace is perfect for wishing someone good luck. Apply to receive it delivered to your door.